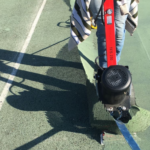 Making the tennis courts match ready! 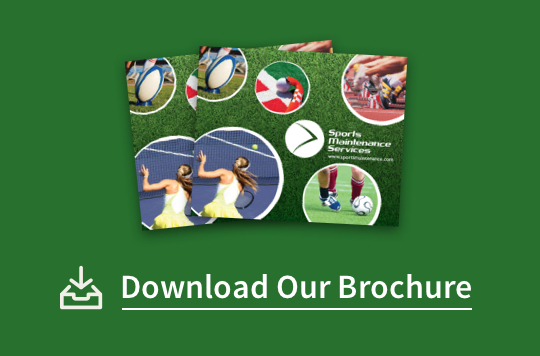 Our latest project has been the Sutton tennis club, which was in need of a total revamp. 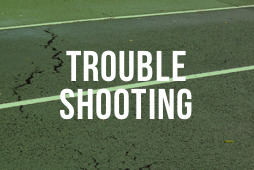 There were drainage issues that needed to be addressed in order to keep the tennis courts in tip-top condition. 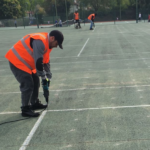 Here at Sports Maintenance, we made it our mission to get the tennis courts looking their best once again. Firstly, we took up the existing Porous Kushion Kourt (PKK) matting system, which was damaged. 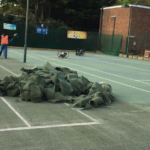 We removed the matting from a block of three courts at Sutton Tennis Club. 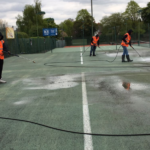 The macadam base of the courts had drainage issues and needed to be repaired. We worked hard to make sure these issues were solved. The courts were then overlaid with new PKK mesh. 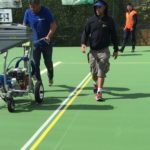 Next, we added the line markings to the tennis courts. 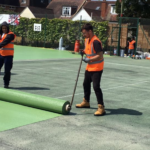 Last but not least, the final step of the project will be a ‘slip test’ – then it’s playtime for everyone at Sutton Tennis Club. After that, all the players will need to worry about is whether the ball is in or out! Porous Kushion Kourt is great for the sports enthusiast, as it’s comfortable to play on and kind to the body. PKK surfaces are gentle on the joints and lower limbs, which is ideal for fast-paced tennis matches. 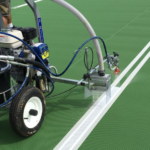 Players won’t tire as quickly with this surface, which means that they won’t have to cut their time short on the courts. It’s also a great choice for the unpredictable British weather, as water can drain freely through the surface. Additionally, Kushion Kourt surfaces offer a high degree of slip resistance, and its permeable nature make it resilient enough to be used year-round. Kushion Kourt surfaces tick all the boxes, as they are quick to install, easy to maintain and easy to refurbish. PKK surfaces have an ITF Court Pace Classification of 4, which is for medium-fast placed games. 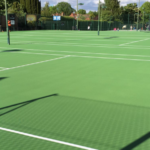 These are popular with the pros too, as category 4 surfaces were used for the Grand Slams at the Australia Open and US Open. 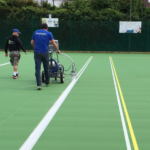 We love to install Kushion Kourt tennis systems as it offers high performance and maximum comfort for players of all abilities. 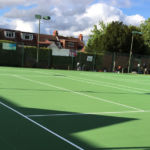 If you have a tennis court, or you’re a tennis club looking for tennis court maintenance or repair then look no further! 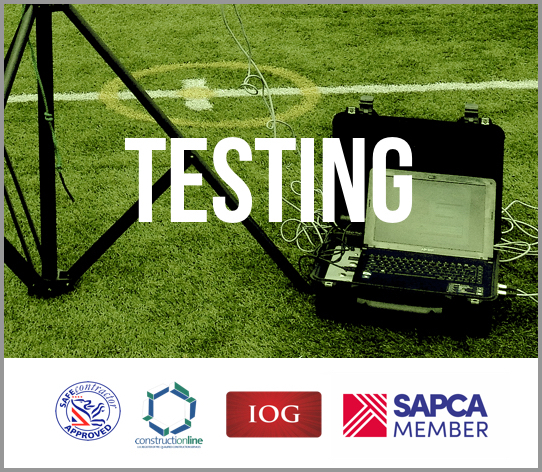 Get in touch today for a free site survey.